In the title story of this collection by one of America’s greatest writers, a baby born in 1860 begins life as an old man and proceeds to age backward. 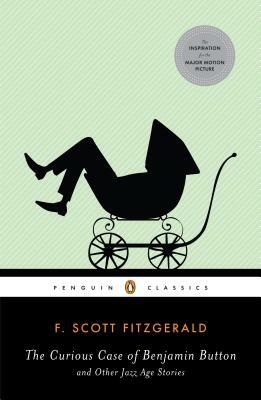 F. Scott Fizgerald hinted at this kind of inversion when he called his era “a generation grown up to find all Gods dead, all wars fought, all faiths in man shaken.” Perhaps nowhere in American fiction has this “Lost Generation” been more vividly preserved than in Fitzgerald’s short fiction. Spanning the early twentieth-century American landscape, this original collection captures, with Fitzgerald’s signature blend of enchantment and disillusionment, America during the Jazz Age. F. Scott Fitzgerald was born in 1896 in St Paul, Minnesota, and went to Princeton University, which he left in 1917 to join the army. He was said to have epitomized the Jazz Age, which he himself defined as “a generation grown up to find all Gods dead, all wars fought, all faiths in man shaken.” In 1920 he married Zelda Sayre. Their traumatic marriage and her subsequent breakdowns became the leading influence on his writing. Among his publications were five novels, This Side of Paradise, The Great Gatsby, The Beautiful and Damned, Tender is the Night, and The Last Tycoon (his last and unfinished work). Fitzgerald died suddenly in 1940. Patrick O’Donnell (editor, introducer) is the author of several books and essays on modern and contemporary American fiction, including John Hawkes, Passionate Doubt: Designs of Interpretation in Contemporary American Fiction, and Echo Chambers: Reading Voice in Modern Narrative.